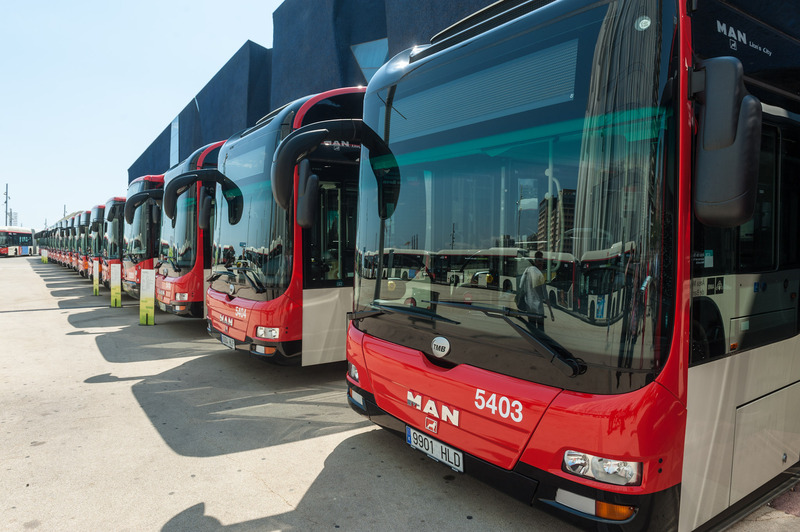 MAN Truck & Bus Iberia has been awarded the contract by Transports Metropolitans de Barcelona (TMB) for the purchase of ten more hybrid city buses. The new MAN Lion's City Hybrids will be delivered to the customer by the end of 2013. 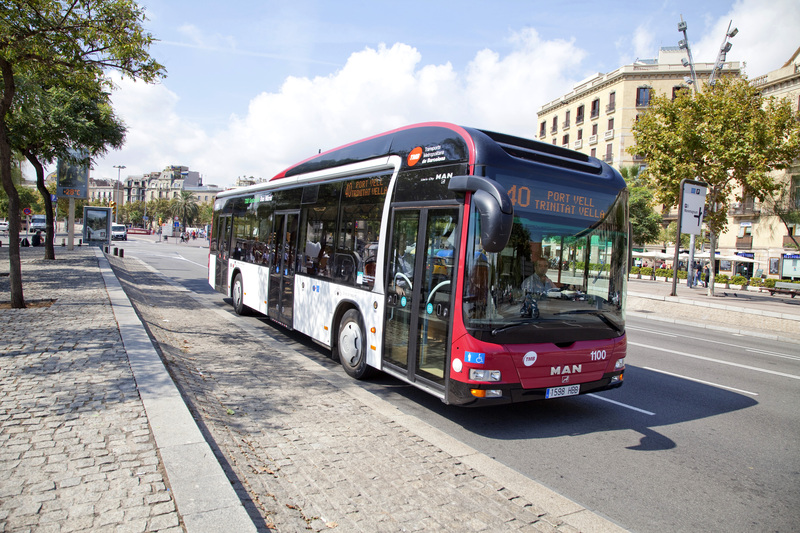 With 21 MAN hybrid buses, Barcelona will become the city with the largest fleet of this vehicle. The 12 metre-long solo buses are powered by two electric engines of 75 kW each. This allows an even, quiet and emission-free acceleration from a stationary position with a torque of 3000 Nm. The electric drive is fed by two sources: ultra-capacitors on the roof save the kinetic energy recuperated during braking and release it again during acceleration. As a further energy supplier, an MAN D08 diesel motor with 7 litre capacity and 250 hp starts if necessary, which fulfils the strictest current voluntary EEV (Enhanced Environmentally Friendly Vehicle) emission standard. If the diesel is not needed, it switches off automatically.